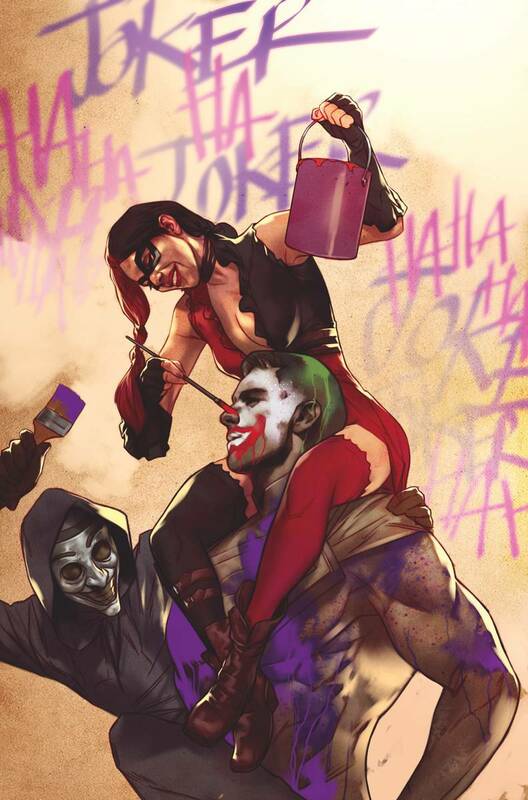 Tom Taylor, the writer who launched DC Comics's Injustice: Gods Among Us tie-in comics, will return to that universe soon -- but not before I Live in a Clown Motel writer Chris Sebela makes his debut in December's Injustice: Ground Zero, a look at the events of the hit video game through fresh eyes. The series, revealed in DC's solicitations tonight, was part of a discussion over on World Wide Gaming with outgoing writer Brian Buccellato. "I actually was going to be writing Ground Zero, and I did some work on it. I outlined some stuff and wrote some plots for the Ground Zero, which is the game story being played out through the perspective of Harley Quinn,"Buccellato revealed. He cautioned that Ground Zero won't be exactly the same story as the original game, and won't be strictly his plot, but he was glad to have some part in it. Buccellato had to leave the project behind, as he's joined Universal Studios in a new Writers Fellowship, and he said it's left him with "some unfinished business." You can check out the solicitation text for the first couple of issues, along with the first issue's cover, below. The series is digital-first, although the exact launch date on ComiXology and the DC app hasn't yet been officially announced. Expect an announcement soon.